Just color and enjoy - everything's included! 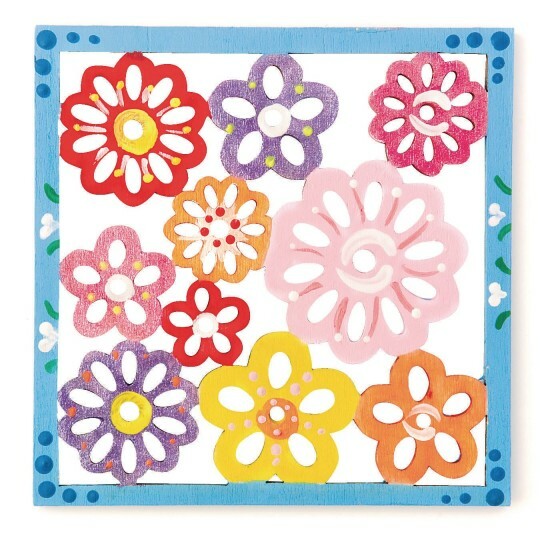 Beautifully cut 4" x 4" trivets in flower designs. You can also string with cord to decorate walls. Another pretty and practical craft! Beautifully cut 4" x 4" trivet in flower design. String with cord to decorate walls. Also makes a cute ornament or coaster. 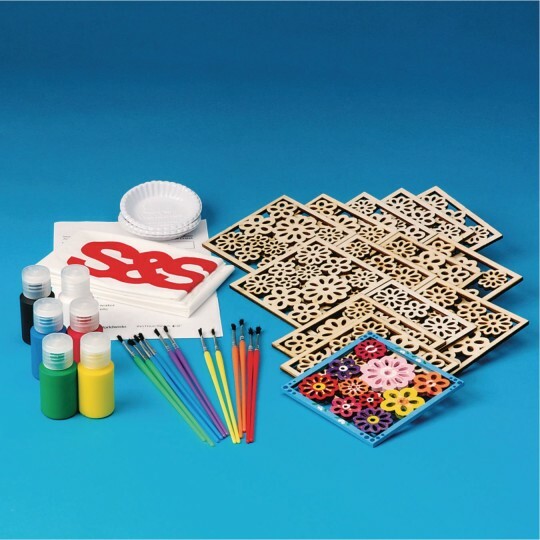 Includes paint, brushes and trays. Felt they were too small. Easy set up Loved the whole kit. A couple of these broke as the kids were painting them. I expected a lot more for my money. I am the activity director at a senior living facility. I loved this craft and so did my residents. It was easy to set up and the end result was pretty. SSWW came through for me again! Thanks!